It was a very early start on Bank Holiday Monday for the staff of Leeds Gymnastics Club, as they arrived at 7.30am to prepare for the Gymnastics for All competition; open to all children participating in a General Gymnastics 1 or 1.5-hour weekly class. 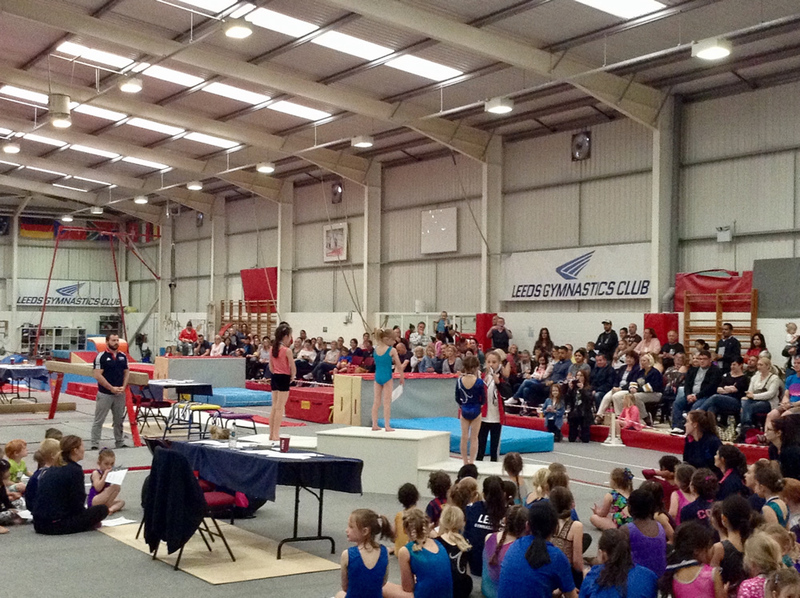 Despite some very bleary eyes and croaky voices, within half an hour, the gym had been converted into a competition venue complete with spectator seating, café, gymnast stations and judges. The children had been practising their floor and vault routines for weeks leading up to it, and (along with a few nerves and tears) they were all incredibly excited to compete for what many of them would be the very first time. Over 200 participants were split into their age groups from reception to year 6; each competing in front of the friendly home crowd for around 90 minutes. Although the coaches were on always hand to assist the competitors if necessary, they all executed their routines brilliantly, and one guest judge couldn’t help but compliment the children (and coaches) on their excellent focus, shape and technique throughout the day. Competitors received official scores in floor, vault and all-around, and were presented their medals by some of the Club’s most accomplished gymnasts. Young Ambassador and England Women’s squad member Ren Billingham, along with Senior Ambassadors and GB Men’s gymnasts Ashley Watson and Nile Wilson shared the responsibility of awarding the medals, and took part in Q&A sessions with our MC Tamsin. All in all, the day ran perfectly. Children, families and staff alike were incredibly pleased with the way the competition was conducted, and as a Club we cannot wait to see how much everyone has improved by the time they compete again! Thank you very much to all our staff, volunteers and young leaders who coached, judged, tallied scores and lifted heavy equipment to make the day possible. 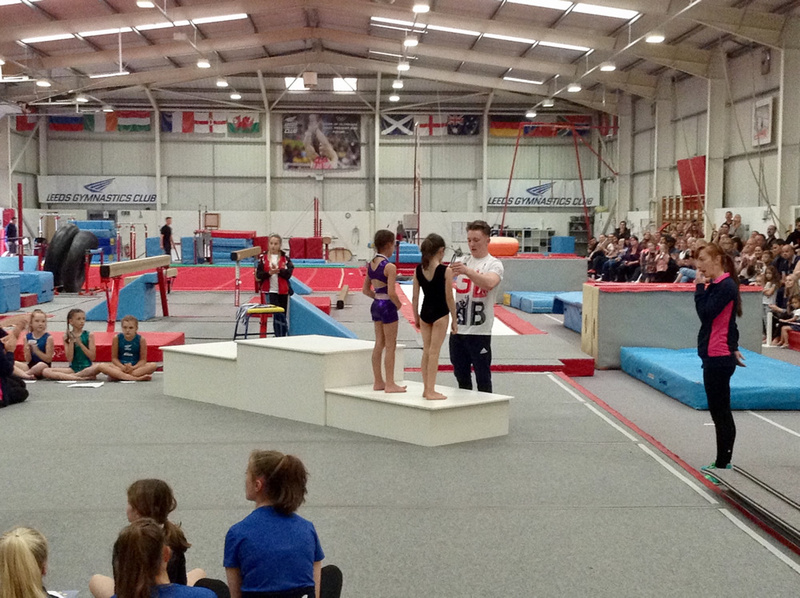 Thank you to Ren, Ash and Nile for giving up their time to inspire our young competitors on the day. Thank you to Bethany and Brittany who ran the shop and kept us all pumped up with caffeine, and thank you to Tamsin and Jess; who were the brains behind the entire event.